Al sur del mundo, la familia Serrano Céspedes utiliza aguas puras y fértiles suelos de la región del Bío Bío para cultivar sus finos berries orgánicos. Con sólo sus frutos de frambuesa, frutilla y mora, se producen estos refinados vinagres orgánicos certificados por BCS OKO GmbH. Manuel personalmente supervisa la molienda de las frutillas, frambuesas y moras que una vez cosechadas se trasladan inmediatamente a la fabrica de vinagres, para su procesamiento.El exquisito jugo obtenido de la molienda de los berries, es manejado mientras se produce la fermentación alcoholica y para luego dar las condiciones para la fermentación acética, obteniendo como producto final los exclusivos vinagres orgánicos de frutilla, frambuesa y mora. El proceso de elaboración se realiza en forma orgánica, bajo la estricta normativa vigente, logrando un vinagre libre de productos de sintesís química y contaminantes, manteniendo las características nutracéuticas de la fruta original. Los vinagres orgánicos de berries Natural y más, son usados como aderezo para ensaladas, para marinar carnes, preparar un carpaccio , o para beberlo ayudando a prevenir problemas de salud (nutraceútico). - Vinagre Orgánico de Frutillas. - Vinagre Orgánico de Frambuesa. - Vinagre Orgánico de Mora. 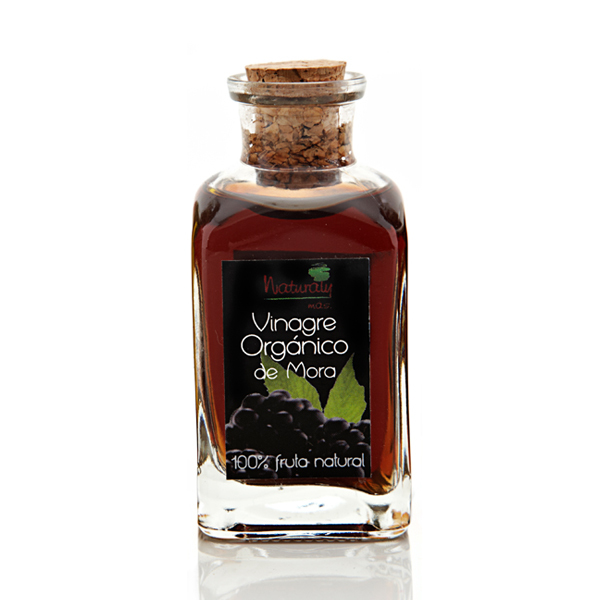 selected organic vinegars which have been elaborated under strict organic protocols according to Chilean regulations, U.S. (NOP), Japan (JAS) and certified by BCS OKÖ garantie GmbH. The NATURAL Y MÁS organic berry vinegars are used as salad dressing, to marinate meat, to prepare a Carpaccio or as a health problem preventer. Manuel supervises personally the grinding of the strawberries, raspberries and blackberries after being picked and immediately transferred to the fabric of vinegar for the process. 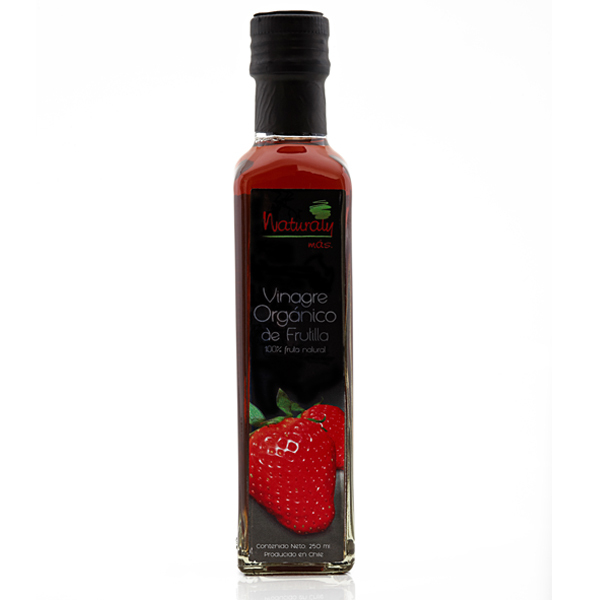 The exquisite juice coming from the grinding is transforming to alcoholic fermentation and after, to acetic fermentation getting as final product the exclusive organic strawberry, raspberry and blackberry vinegars. The manufacturing process is performed in organic form, under the strict regulations in force, achieving a free vinegar chemical synthesis products and pollutants, keeping the nutraceutical properties of the original fruit. 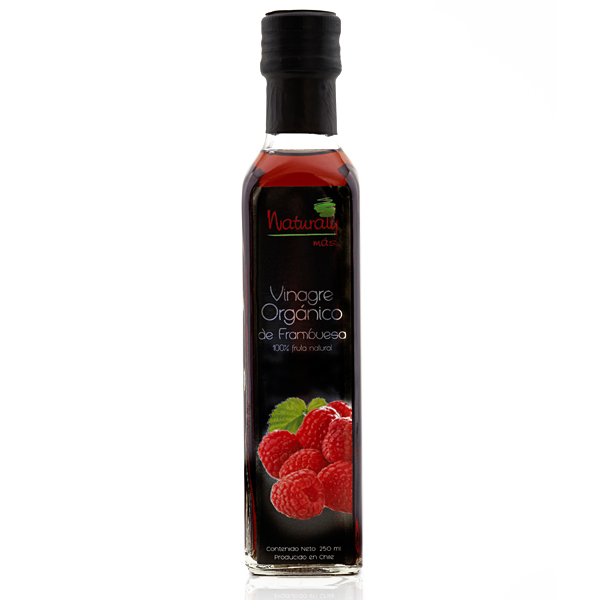 Vinegars Natural organic berries and more, are used as salad dressing, to marinate meat, prepare a Carpaccio, or to drink to help prevent health problems. 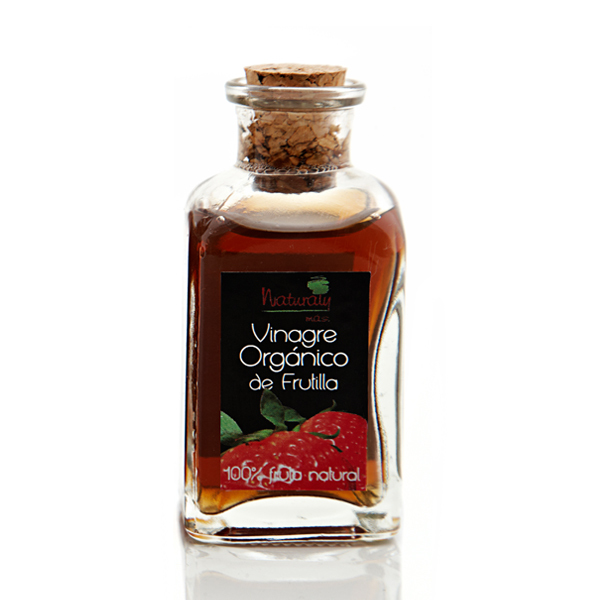 Sophisticated vinegar exclusively made with organic “Aroma and Camarosa” strawberries harvested in the “Sebastián” homestead and processed in the NATURAL Y MAS vinegar factory. The strawberries present up to eight times more ellagic acid than other fruits, this substance is very important because it inhibits the replication of cancer cells. Among the strawberry properties we find a high level of folic acid, dietary fiber, potassium, vitamin C, E and beta carotene which also presents antioxidant properties. 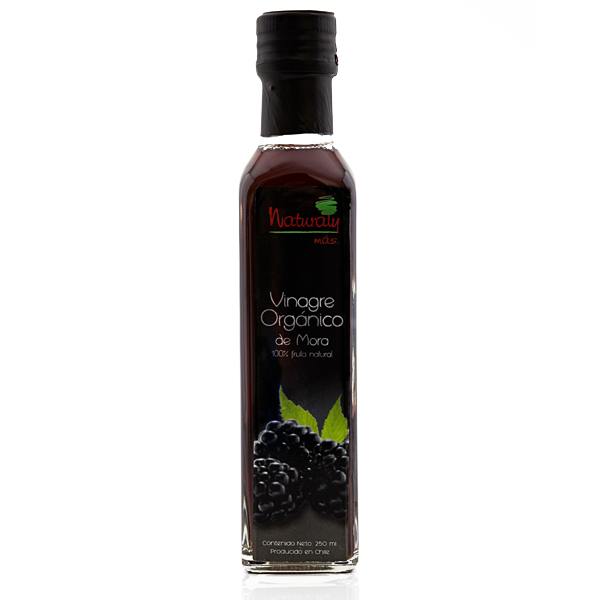 Sophisticated vinegar exclusively made with organic “Navajo” blackberries harvested in the “Sebastián” homestead and processed in the NATURAL Y MÁS vinegar factory. Among the blackberry properties we find a high level of vitamin C and E, fiber, ellagic acid and carotene which provides antioxidant properties. In addition to this we can also find small amounts of calcium, potassium, iron and magnesium. �Cu�l es el producto m�s interesante de Natural y M�s?